New Website is Now Open! Star Trek is a registered trademark of Paramount Studios. 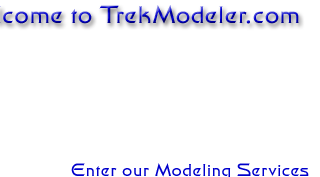 ©2012 TrekModeler. All rights reserved. This site best viewed at 800x600 monitor resolution, using Microsoft Internet Explorer 6 or greater.